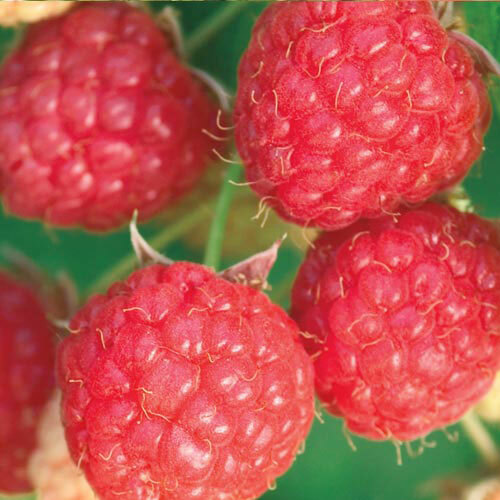 If you simply cannot wait for those first raspberries of the summer, Prelude is for you! Berries ripen earlier than any standard variety (mid June), and bear a smaller crop again in the fall. 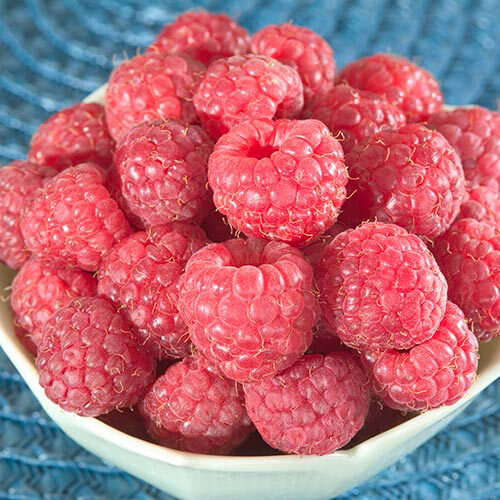 Rich coral-red colored berries are sugary sweet and bursting with juice, yet are firm enough to hold up for processing. Plants are hardy and vigorous, with very few thorns and fruit spaced openly for ease of picking. Easy to maintain and disease resistant—just enjoy tons of sun-sweetened berries each summer. Plants grow 4-6 ft. tall with a 5 ft. spread. Plant in full sun to partial shade. Zones 4-8. U.S. Patent No.11747. LightFull sun to partial sun. FruitConic, 1 inch, 1.2 grams deep red berries. PruningThin fruiting canes in late winter or early spring before they start to grow. Remove all weak canes and thin the strong canes so they are 4-6 inches apart over the width of the row; narrow rows if necessary to 15-18 inches wide. CommentsMatures seven days earlier than standard early seanson varieties, in late june and early july vigorous plants sucker freely. Fruit is easy to harvest. Prelude also bears fruit on primocaines in the fall. Good disease resistance. Sparse thorns. Planting: in heavy clay, add 1/3 to 1/2 sand and 1/3 compost or composted manure. Crown should be at soil level. Prune dormant bareroot to 2 inches. Growth: produce on 1 year old stems. Remove old canes after they have produced making room for the new canes. In summer, cut young canes back to 4-5 feet, keep laterals to 2-3 feet. Needs supporting due to large crops of berries. 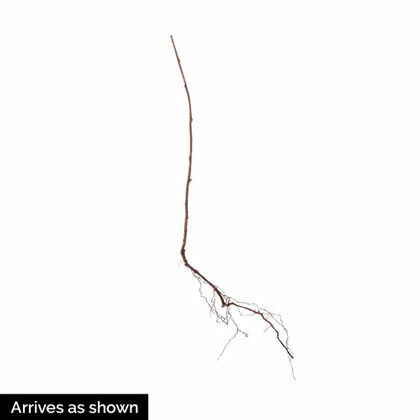 DepthPlant at the same as in the nursery with roots below soil level.